is January and we all start out with great intentions! The gyms are overloaded, the resolutions are recorded, the plans are in place…and who will follow through? I am not big on resolutions, but I do hope to keep up this blog about my quilting journey, so let’s get to that! I am setting off to make wonky stars for my first bee in 2018, “Wonky Stars 2018”, coordinated by Rachel Lancer, @bylancer. This is my first “bee” and I am excited because you end up with several blocks and therefore, a good start to a project, rather than just one block. Organize – my room, my thoughts, my plans…CHECK! That is until I started the next project!!! Wonky Stars – I am doing improv stars, though I have patterns from @JeliQuilts and @sewhookedjen. There are others out there and I appreciate the willingness of people who create and share their efforts. I am using the improv technique, as I got into that last year with Debbie, @aquilterstable, and love it! 2018 Stash Bee – This is another bee I have joined. This one is coordinated by Diana, @reddeliciouslife. I am in Hive 5 and Cathleen, @kitchkouture, is the hive mama. I will not be Queen Bee until August, but there is a block to make each month. Fun! 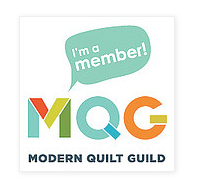 MQG Swap – This happens at QuiltCon West in February, so more to come on that, but I must get to work on this.